On our trip to New Zealand, Matt and I spent the an enjoyable afternoon pottering around the charming city of Christchurch with a map that Jeff the motel guy had given us, warmly wrapped up in scarves and gloves to ward off the August chill in the air. It feels strange saying that even now! 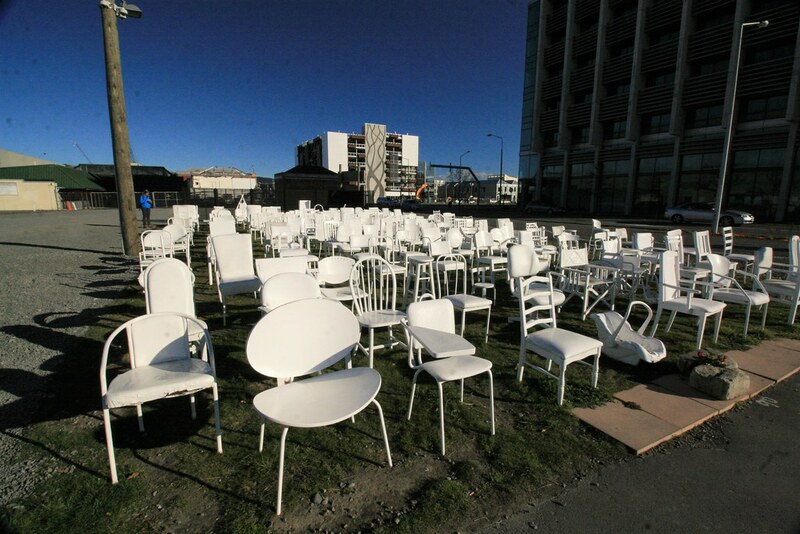 We strolled in the winter sunshine through Christchurch. It really is a lovely city; it seems more like a little town. It’s a place that’s easily traversable on foot. There were no high rises obscuring the sky, the tram system chugged along, there was hardly any traffic, and while there was a nip in the air there was also clear blue sky above us. 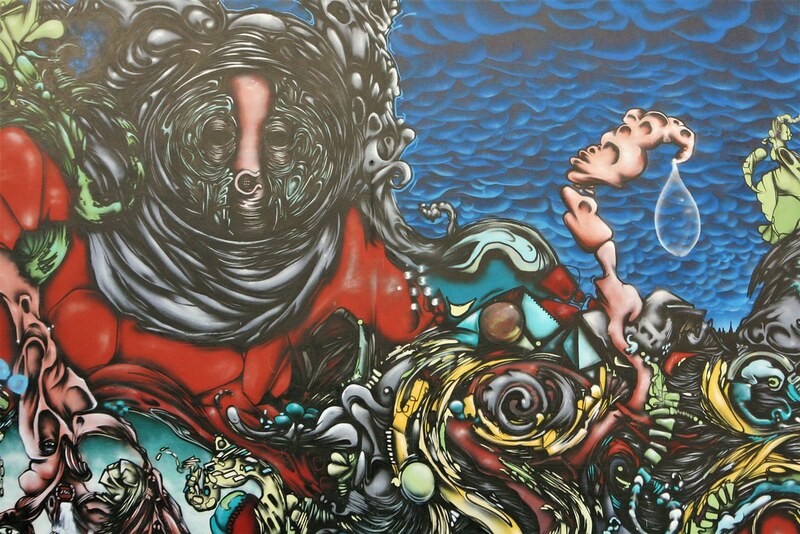 There was personality in the street art that has sprung up to mask earthquake damage. It felt wonderful, relaxed, homely. First we visited the cathedral which sadly collapsed in the earthquake, and then made our way to the Transitional Cathedral (nicknamed the Cardboard Cathedral) which was put up as a temporary place of worship for the community. We entered the building and were met by friendly volunteers who were rightly proud of the challenges they had overcome. 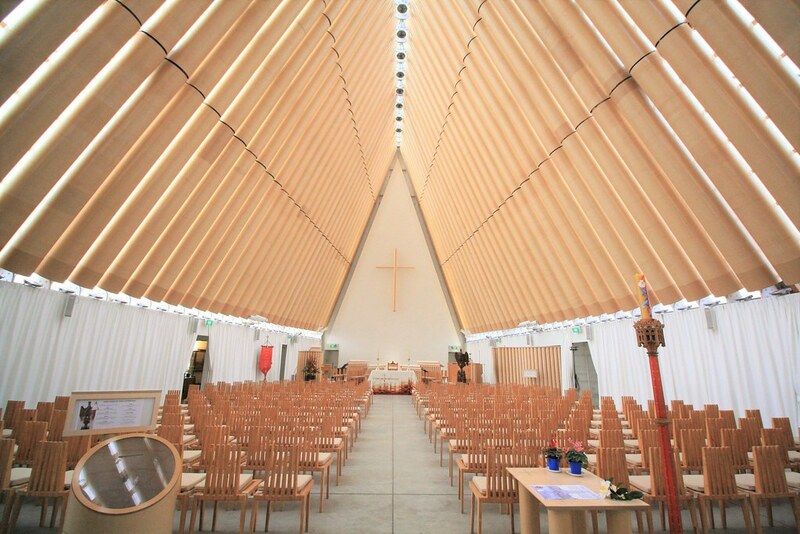 The Transitional Cathedral was built in 18 months by a Japanese architect who had done similar earthquake rehabilitation structures, designed to be rapidly erected, and temporary. 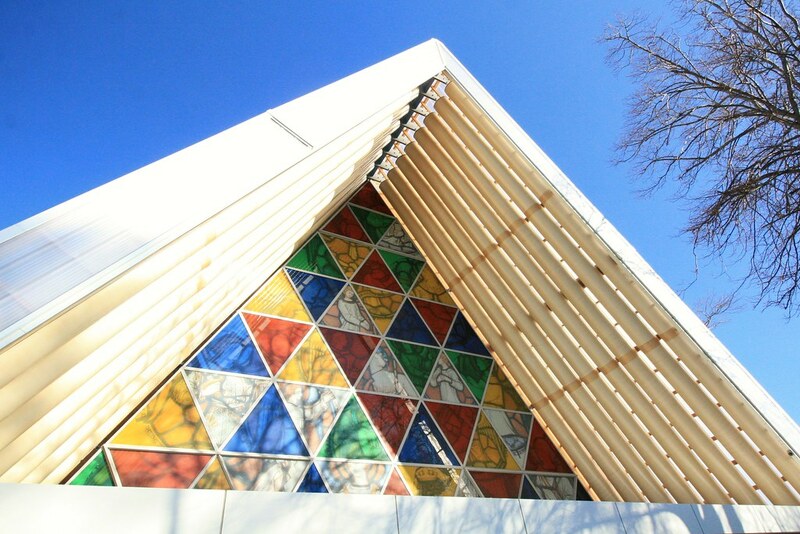 It turns out that it’s actually made of cardboard and plastic sheeting; ‘Cardboard Cathedral’ is more than just a nick name. 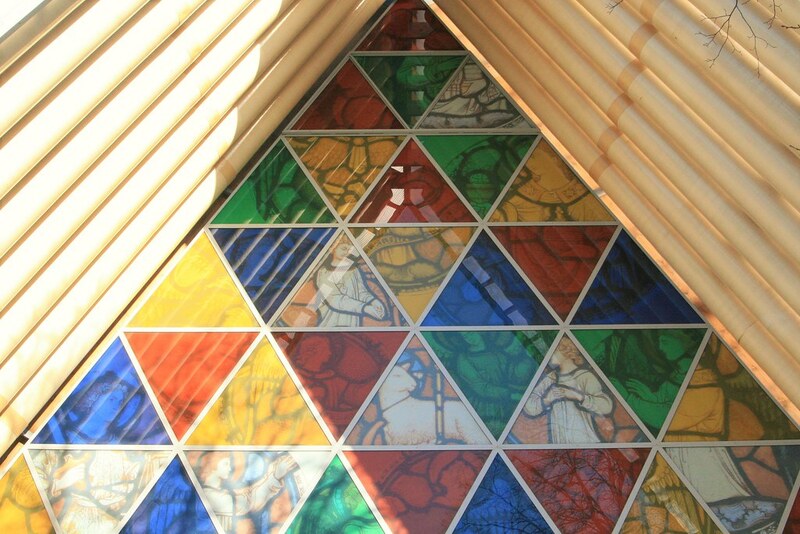 Over the entrance, a mosaic of stained glass imitates shattered shards of rose window from original cathedral. The cathedral stands 22m high at its apex, and it’s simply beautiful, light, airy. Peaceful. 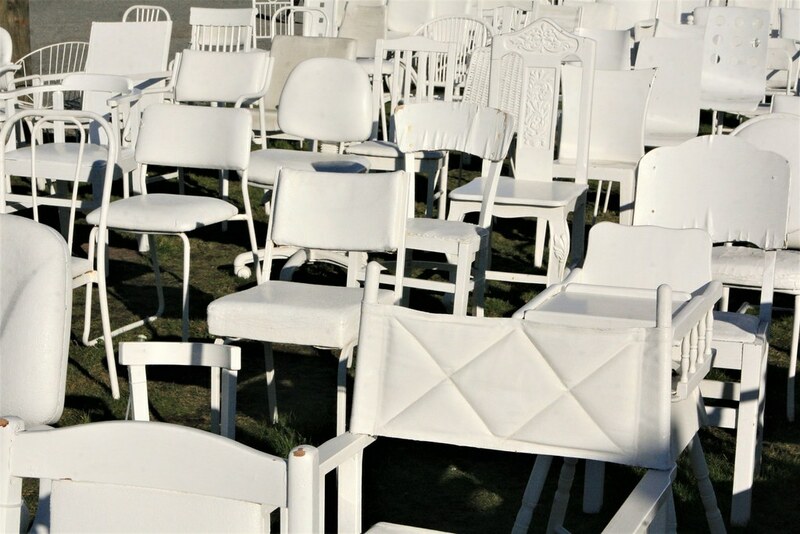 Back outside we stopped by the 185 empty chairs memorial, which commemorates the people who died in the earthquake. The city is still very much scarred from the effects of its recent history. But the overall feel is relaxed and friendly. There is a sense of a community that loves its home, and is determined to build up out of disaster. The re:START mall is a perfect illustration of this: it’s made up of lots of little shops and businesses set up in shipping containers which were established when their former premises collapsed in the earthquake. It seemed like a unique and vibrant response to destruction. We stopped at the re:START mall for a drink. I had a hot chocolate (with marshmallows) from 'A mouse called bean' and Matt ordered a mocha and made sad eyes until the chap gave him marshmallows too. We sat outside in the sunshine. It was chilly, but nice with hands wrapped firmly round a hot drink. Christmassy, you might say. 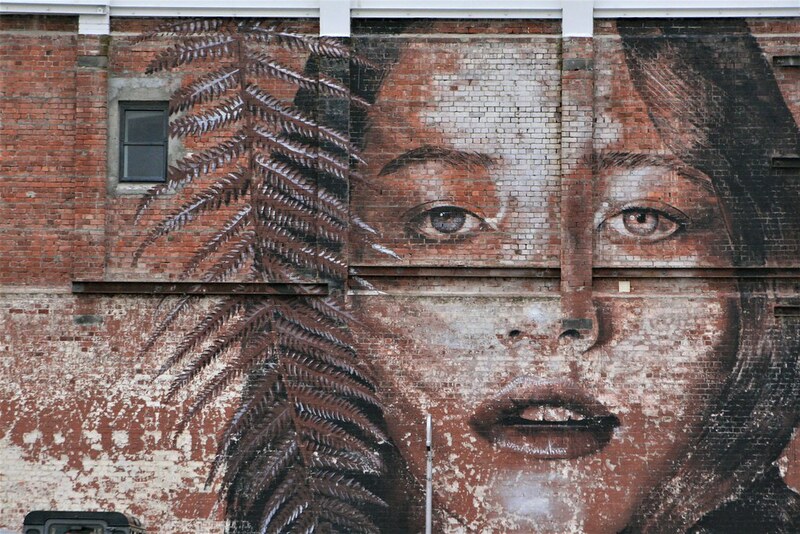 Overall, my impression of Christchurch was very positive; it has a laid-back vibe that made me want to linger, try out more of the café culture and explore more of the street art. Maybe one day I will return. But there's a whole lot more of New Zealand still to come. The empty chairs are very poignant, especially the baby's carry cot. 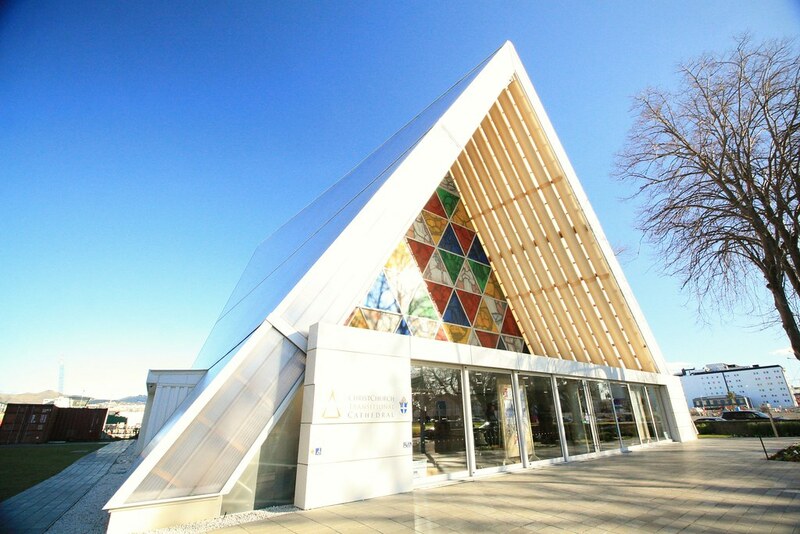 The 'cardboard' cathedral is an amazing structure! It was a very thought-provoking memorial. But I loved the cathedral; couldn't believe what they've managed with the space, it's wonderful!! Although still very sad, it's good to hear what happened next. We only ever seem to get the main reports of a disaster but not much of the real spirit of the people trying to build their world again. A lovely post thank you.